Close to Highline Canal Trail, several parks, Cherry Hills Marketplace & a short drive to Streets at SouthGlenn, top-rated Littleton schools, DTC & more! MLS#5138301. The Steller Group, Inc.
Just a short walk along the greenbelt to the clubhouse & playground! Buyer to verify all info. MLS#1779012. LISTINGS.COM. Energy Smart features throughout the property. Maintenance Free includes snow shoveling! MLS#5220399. HomeSmart Cherry Creek. 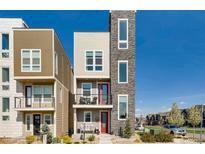 Easy access to highways, mountains, close to Highline Canal trail and Chatfield reservoir. MLS#5117084. Your Castle Real Estate Inc.
West Meadows - Come see this beautifully maintained home! 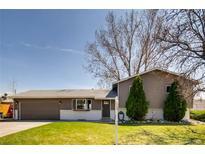 MLS#8779497. Realty One Group Premier. Castle Hill - Rooftop deck for taking in beautiful sunsets and mountain views! MLS#6115949. Realty One Group Premier. Wildcat Ridge - See to believe! True beauty!Pics coming soon! MLS#8573102. RE/MAX Masters Millennium. Columbine Hills - This home is the absolute best value at this price point... come and see the craftsmanship! MLS#6390725. Keller Williams Integrity Real Estate LLC. Please, no Sunday deadlines and allow 24 hours for seller response to all offers. MLS#6188184. MB METRO BROKERS REALTY OASIS. Foothill Green - *Completely move-in ready 3 bedroom, 2 bathroom home that is close to just about anything you'd need*Beautiful kitchen that includes all stainless steel appliances and opens to the light and bright living room*Family room offers a wood burning fireplace*The backyard is perfect for entertaining and offers a separate patio for a fire pit and also a covered patio*Waling distance to elementary school and Beers Sisters Reservoir* MLS#2710302. Keller Williams Advantage Realty LLC. Located on a quiet street and minutes away from C-470, Park Meadows Mall, restaurants, bars, parks, and public transportation. This one won’t last! MLS#2933698. GREEN DOOR LIVING REAL ESTATE. Roxborough Village - The front yard is beautifully landscaped, the fenced back yard is ready for your personal touch and/or your 4 legged friends. MLS#1608754. Sora Realty. Dakota Station - Factor in the attached 2-car garage, ample sized bedrooms, and vicinity to a great elementary school, this home offers great value to young families and first-time homebuyers. MLS#4251025. Helping Hand Real Estate. Quick access to highways, shopping, dining, and entertainment. MLS#6323579. Redfin Corporation. "sold As Is All Information Deemed Reliable But Not Guaranteed And Buyer And Buyers Agent To Verify All Information". MLS#2417860. Brokers Guild-Cherry Creek Ltd..
Dakota Station - Utility shed for additional storage. No HOA. MLS#6230002. Home Bay Broker CO, Inc.
Ken Caryl Valley - Security Syst! Newer Roof & Garage Door! MLS#2219839. MB DDHARDER PROPERTIES. Outdoor living with open space, a playground, and walking/biking trails; an easy walk or bike ride to Chatfield Reservoir or the Botanic Gardens at Chatfield in mere minutes. MLS#3154980. RE/MAX Professionals. Wildcat Ridge - Quick possession and ready to move in. MLS#2859292. HomeSmart Cherry Creek.